SF 1 requires that every proposed rule under a notice of intended action or publication without notice contain a jobs impact statement that outlines the purpose and statutory authority of the rule and analyzes and sets out in detail the impact on state agencies, local governments, the public and regulated entities, including businesses and self-employed individuals. SF 174 adds Carroll County and Clay County to the list of counties authorized to issue driver’s licenses, nonoperator’s identification cards, and persons with disabilities designations. This is necessary because the Iowa Department of Transportation closed driver’s license stations in those counties on August 31, 2016. SF 227 expands the circumstances under which an individual can operate an ATV or snowmobile with a loaded firearm without a permit to carry. HF 291 is a Republican bill to gut public sector employee collective bargaining rights. The legislation was written in secret, behind closed doors without the input of 180,000 public sector workers in Iowa. 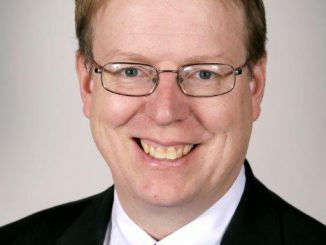 The Republicans rushed this legislation through the Iowa House and Senate and plan to have it on the Governor’s desk to sign this week. This bill does nothing to move Iowa’s economy forward. It is government overreach that attacks Iowa workers and their families. An overwhelming majority of Iowans who packed the Capitol, attended rallies and overflowing local meetings, and filled legislative voicemail and email inboxes were in opposition to Senate File 213/House File 291. “Their message was clear: This bill hurts working Iowans and their families,” he said. SF 257 establishes a set of guidelines for conducting bass fishing tournaments and the approval of permits for those events by the Department of Natural Resources (DNR). The minimum number of vessels for an event is 6 on public waters other than the Mississippi River. For Mississippi River events, the minimum number of vessels is 20, and there must be at least 40 participants.